Published November 11, 2013 at 650 × 467 in What’s New? ADJ Holiday Show at Youth in Arts! 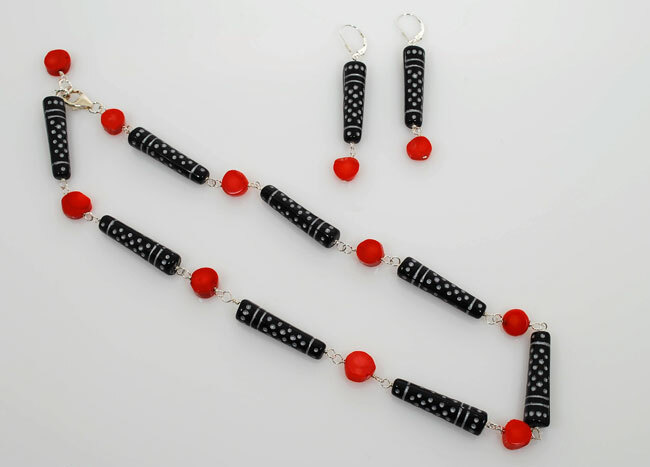 Striking black Czech glass bars are beautifully offset by bright red coral buttons. 17″ long, sterling silver.